There are today less people who feel contented and happy about their own life than people who have got lots to complain about in life. Honestly, I have many to complain about this damn life. I don’t care whether there is anyone who would care to listen to my cribbing and help me console myself with the damn system. There are many that I can even be able to come out with here and start crying over it. And similarly like me, there are many who I know have many to complain and feel unhappy about the life. 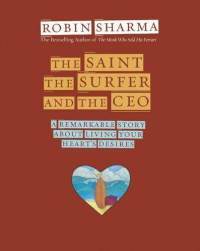 While coming home for the vacation, I had the privilege of borrowing my friend’s book, The Saint, theSurfer and the CEO by Robin Sharma. Book readings have always been the best thing to do while travelling. While many would be happy to enjoy the landscapes and valleys as we pass through in the vehicle, I usually keep myself busy with whatever I have in my bag to read. The book was in many ways philosophical, you would need your whole life to actually understand and practice its contents. But there were few things which made me flip the page once again and read it back. There was this column where one explains about how we always are skeptic and pessimistic with wrong things popping out in life, how one forgets about other things we have in life to live with and how one can develop the attitude to cultivate and thus celebrate the beautiful things we have in life when one is hit with problems and crises, best remedy to count on all those good things you have, all good people you know and all good things you are associated with which he calls as Blessing List. 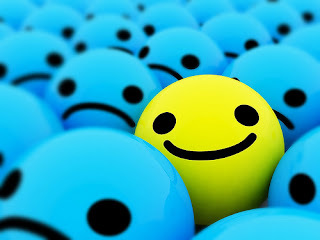 Thanks to God and my parents, I am born without any birth problems which would complicate my life ahead. Thanks to God that I am in a very good health. Thanks to God, I have survived an accident which could have taken my life even before realizing the beauty of it. Thanks to supporting parents and good teachers, I have had so far a wonderful journey with my studies. Thanks to many good writers and bloggers that I am today able to keep my passion for writing alive. Thanks to Humble king, I am today being able to pursue my higher studies without much problem. Thanks to many good people I have come across that today I am alive and wise with many things. Thanks to the beautiful sister and brothers I am blessed with that today I think of their happiness and life which inspires me to do well in whatever I start doing. There are hundreds to list and be reminded of, thousands of people to be thankful of and be happy for, million reasons to live happily during the times of crises and adversities. Time to start living…..